DALLAS—After ten years of dogged surveillance, a court date three years in the making and two FBI raids, Dallas County Commissioner John Wiley Price can sleep a little easier tonight. Friday, the U.S. District Attorney announced that seeking a retrial against Price would not happen under his watch. Last month, Price’s conspiracy trial ended three months months ahead of schedule. Jurors found Price not guilty of bribery and six counts of conspiracy to commit mail fraud. However Price originally faced 11 charges total. After 8 days, the jury was hung on the remaining three counts of tax evasion and one count of conspiracy to defraud the Internal Revenue Service. Prosecutors said they also are dropping their case against political consultant Kathy Nealy, who was charged with bribing him. Specifically, Price was accused of accepting nearly $1 million over the course of a decade in the form of money, cars, and land. In exchange, they alleged he got deals for companies doing business for Dallas County. North Texas District Chief Justice Hon. Barbara Lynn gave federal prosecutors one month to formally declare if they will file an appeal. 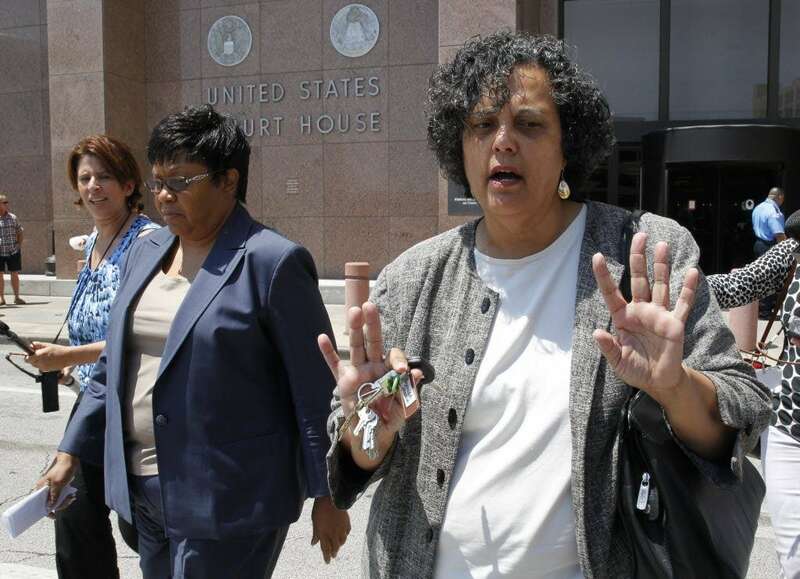 Political Consultant Kathy Nealy secured a separate bribery trial after Price’s corruption trial. 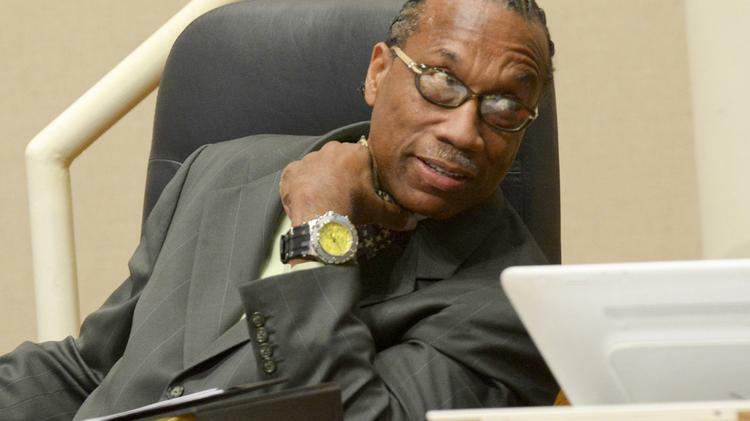 Price continued to serve in his role as Dallas County Commissioner throughout court proceedings, except on dates when Commissioners Court conflicted with his federal court schedule. The District 3 representative on the County’s five member governing body has been in office since 1985. Political experts say this turn, in a case that has provided a cloud of uncertainty, will surely strengthen Price’s hand. What the expert in public opinion and political psychology refers to when he mentions Price’s district is not just its southern Dallas County geographic location. District 3 is largely comprised of minority communities from Fair Park, Oak Cliff, Pleasant Grove, Seagoville and Lancaster. Carl Sherman, DeSoto’s first African American Mayor, now Hutchins City Manager, lent his support for Price. Despite the corruption charges lodged against Price, his constituents continued to voice their faith in him. In November 2016, as media outlets speculated before the beginning of the trial, residents sent Price back downtown in a landslide victory over Republican S.T. Russell. “They see him as an effective advocate for their community priorities and their issues. This verdict will only reinforce that sense,” said Wilson. 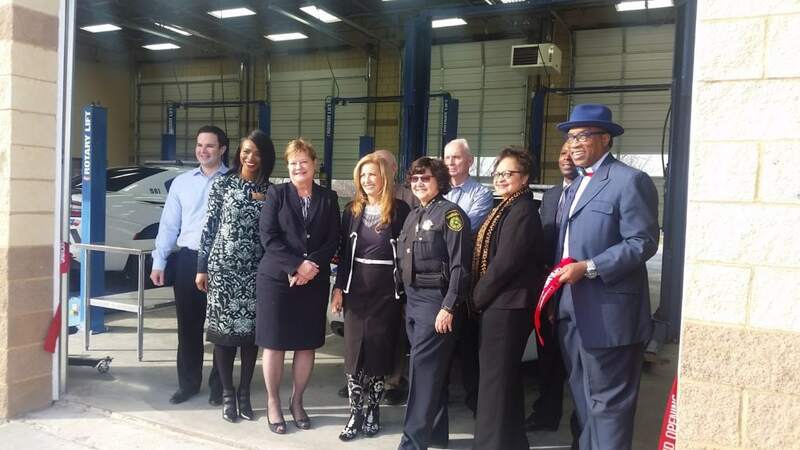 From left, DeSoto Mayor Pro Tem Rachel Proctor, County Commissioner District 1 Dr. Theresa Daniel, County Commissioner Dictrict 4 Dr. Elba Garcia, Dallas County Sherriff Lupe Valdez and County Commissioner District 3 John Wiley Price were on hand to celebrate the opening of the new County Automotive Service Center. Wilson adds, however, while Price and his supporters may be vindicated by this, the damage to his reputation outside of his district has been irreparable. Years before the trial, Price was rumored to be heir apparent to Congresswoman Eddie Bernice Johnson, who is now 81-years-old. Johnson has served as the U.S. Representative for Texas’ 30th Congressional District since 1993. Despite the rumors, Price has never made a formal declaration of his intentions to seek higher office. Unmarried, he says he considers his job to be wife. With no term limits — this marriage may last longer than most.